You must train hard and apply sufficient overload to build muscle, but how hard do you really need to push it? Should you put the weight down once you reach 10, when the muscle starts to feel uncomfortable or when you can’t do any more reps with good form? It’s an important distinction you need to understand. If you’re training for maximal strength, you do not want to train to muscular failure, as it’s simply too taxing on the nervous system and counterproductive to maximum strength development. However, if hypertrophy (an increase in the size of the muscle cells/fibers) is your goal, it’s a different story. 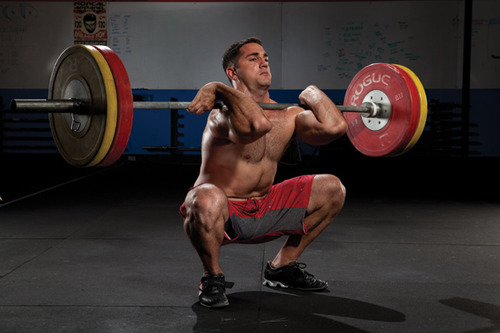 Training to muscular failure—when you can no longer produce sufficient muscle force to complete another rep with good form—has been shown to be most effective. THE LIMITATION WITH TRAINING TO FAILURE IS CLEAR: IT MUST BE USED WITH CAUTION AS THERE’S A POTENTIAL FOR OVERTRAINING WHEN USED LONG-TERM, A STATE IN WHICH GROWTH COMES TO A GRINDING HALT. That’s because the nature of this kind of training recruits as many muscle fibers as it can, and produces increased secretion of growth-promoting hormones. Training to failure also induces more metabolic stress to contribute to a greater degree of hypertrophic response. If you employ this training method, cycle in periods of lower-intensity training. For bodybuilders, it’s important to use this variable strategically, as it shouldn’t be used all the time. Training to muscular failure is an effective training variable for hypertrophy when used properly and not overdone. To avoid overtraining and maximize this variable, training to failure should be used intensively for some cycles and avoided during other times.